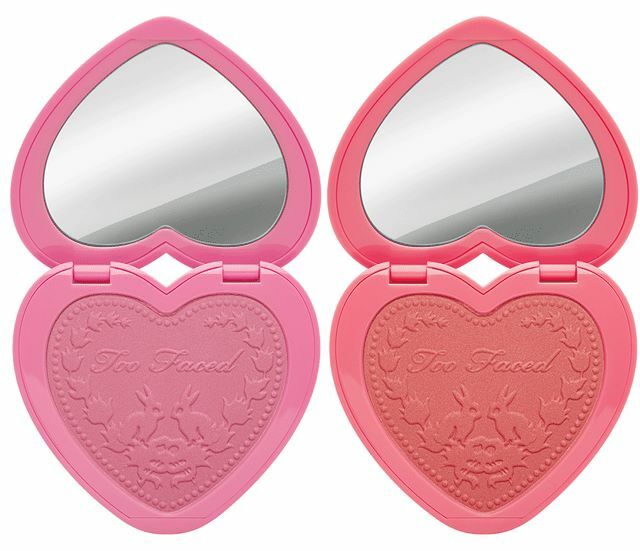 Too Faced Fall 2015 Makeup Collection has revealed a few of its makeup items and released them online recently. 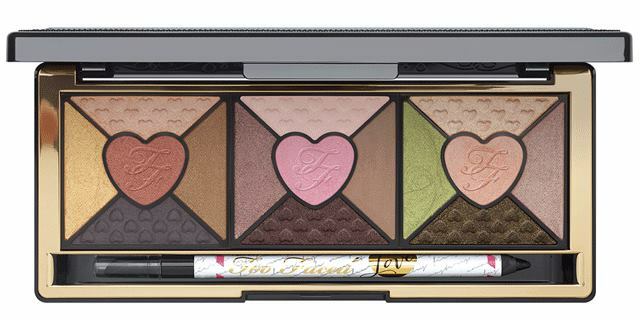 As always a new eyeshadow palette could not have missed from this collection and this time is a gorgeous one which featured 3 combinations of 5 eyeshadows with a sweet heart pattern. 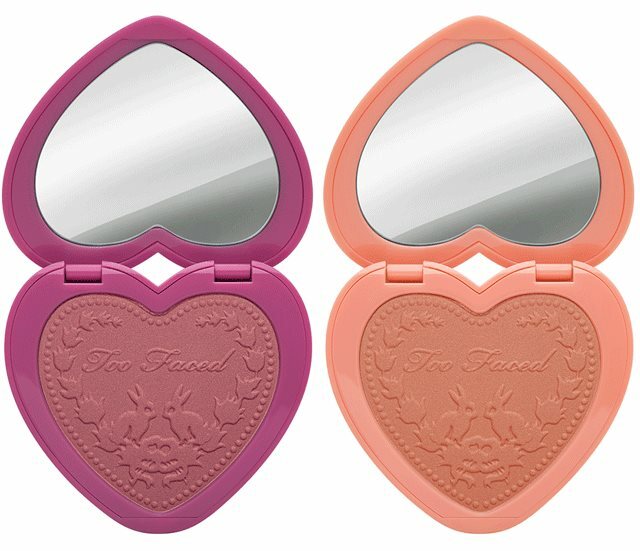 I for once like the combination in the middle, as those are the shades that define me, a sweet eyeshadow combinations of pinks and nudes. 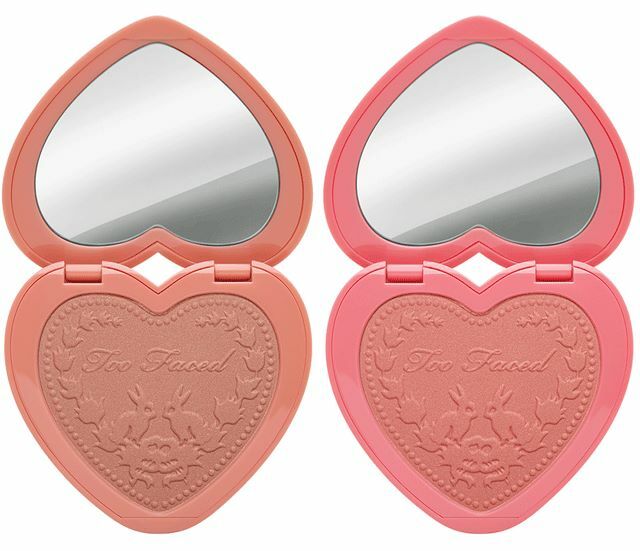 Create your own love story with endless, passionately pretty eye looks. Our love-worthy eye collection features fifteen silky shadows in shimmer, pearl and matte finishes. Innovative slurry powder technology creates velvety, smooth and soft pigments that offer multidimensional, intense color payoff. 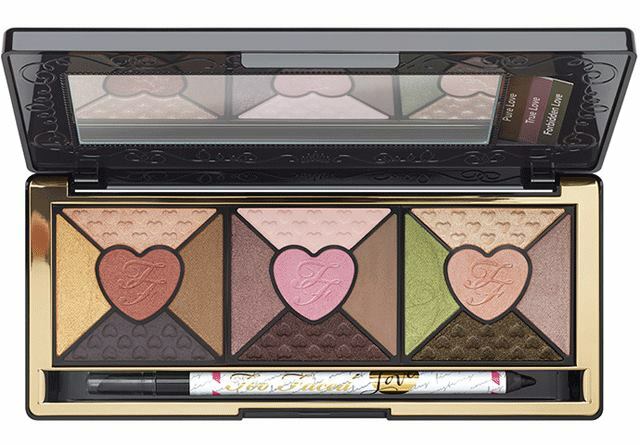 From flirtaceous neutrals to romantic pinks and passionate emeralds, this palette allows you to create limitless looks that anyone will fall head over heels for. 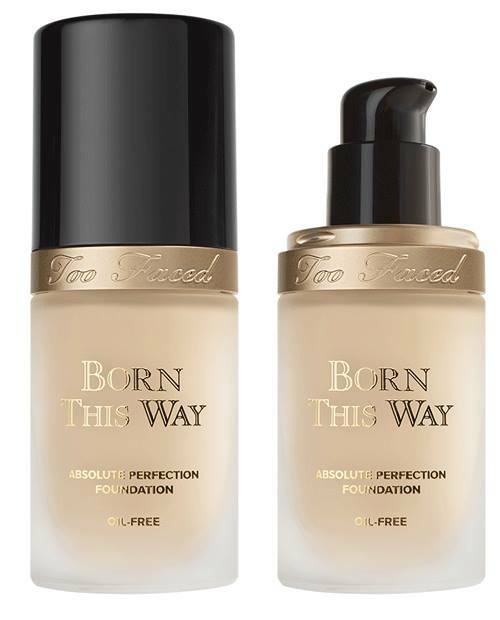 A new undetectable medium-to-full coverage foundation, oil-free, that masterfully diffuses the line between makeup and skin. For coverage so undetectable, you can’t see the makeup and you can’t see imperfections—all that’s left is naturally radiant skin that looks like you were Born This Way.